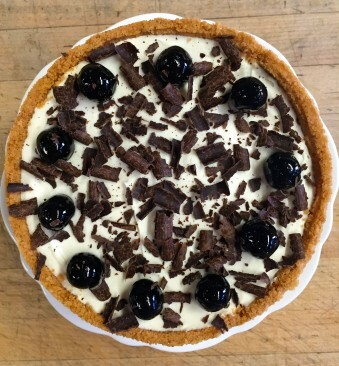 As summer comes to an end, try this easy no bake cherry cheesecake dessert. Pairs nicely with a sweet riesling or a late harvest sauvignon blanc wine. 1) Melt butter gently over low heat. Add shortbread crumbs and mix together until butter is fully incorporated. Place crumbs into springform pie container and refrigerate for 30 minutes. 2) Place softened cream cheese in a mixing bowl. Add powdered sugar and mix on low setting until smooth. Add lemon juice and vanilla. Mix again until incorporated. 3) Whip heavy cream to soft peaks. Fold into cream cheese mixture. Add cherries and mix on low until incorporated. 4) Pour onto pie crust and spread until smooth. Refrigerate for at least 2 hours. Decorate with remaining cherries. Optional: add chocolate shavings on top for decoration. 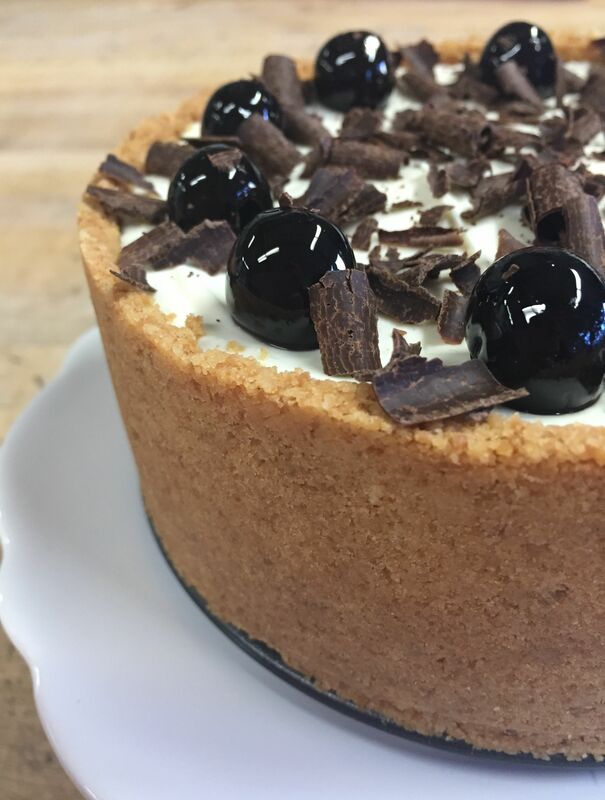 This entry was posted in Blog and tagged cheesecake, cherries, recipes, Shortbread.